A collage of two images by Alex Majoli, created by Daria Birang. Courtesy of Cherry Trees Gallery (Megève, France). To honor Mabanckou on the occasion of his visit to the University of Oklahoma, six graduate students from OU’s Department of Modern Languages, Literatures, and Linguistics—Alex Stewart, Christine Tomte, Fabrice Conte, Hannah Johnson, Hichame Naciri, and Rokiatou Soumaré—translated Mabanckou’s 2003 poem, “Tant que les arbres s’enracineront dans la terre.” The following stanzas conclude the poem. 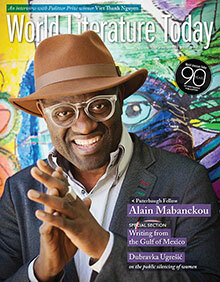 A prolific francophone poet and novelist, Alain Mabanckou (www.alainmabanckou.com) has been called “the African Samuel Beckett” and “a novelist of exuberant originality” for his wordplay, philosophical bent, and sometimes sly and often absurd sense of humor. A French citizen born in the Republic of the Congo, Mabanckou currently lives in LA, where he teaches literature at UCLA. 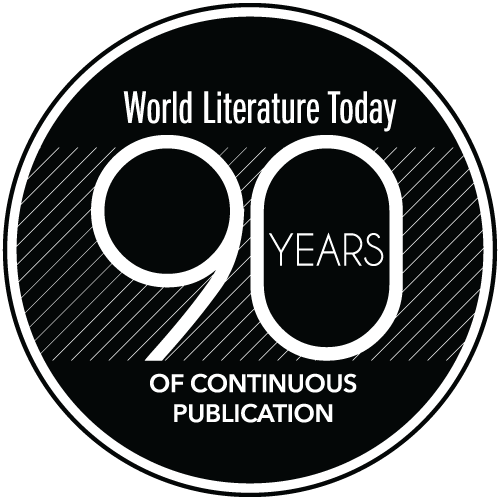 The author of six volumes of poetry and twelve novels, he is the winner of the Grand Prix de la Littérature 2012 and has received the Sub-Saharan African Literature Prize and the Prix Renaudot. In 2015 Mabanckou was a finalist for the Man Booker International Prize. His books in English include Blue White Red, African Psycho, Broken Glass, Black Bazaar, Tomorrow I Will Be Twenty, Letter to Jimmy, and The Lights of Pointe-Noire.